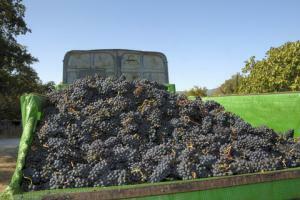 Wine Recommendations for September 2011; Harvest time! The wine recommendations for September 2011 are here; just in time to helps us welcome the harvest! its the time of year when vineyards come alive. Summer is full of hope and expectation. The vines are carefully tended in the hope that they will yield wonderful fruit. And now comes the reward. It's time to bring those babies in; time for the crush! Lets toast to all the hard work, and to a successful vintage! Viña Falernia Sauvignon Blanc Elquí Valley Reserva 2010. A wonderful wine with notes of peach and lemon verbena. Score of 89, $12.00 USD. Chile. Viña Casa Tamaya del Limarí Sauvignon Blanc Limarí Valley 2010. Another wonderful Sauvignon Blanc, with notes of herbs and minerals. Score of 88, $13.00 USD. Chile. Paul Blanck Pinot Gris Alsace 2009. Balanced notes of citrus and cantaloupe. This one is a star. Score of 91, $18.00 USD. France. Aveleda Alvarinho-Loureiro Minho Follies 2010. Fruity, spicy, and intense! Think gooseberries, think peaches. Nice, nice, nice. Score of 88, $12.00 USD. Portugal. Dr. Heidemanns-Bergweiler Kabinett Mosel Bernkasteler Badstube 2010. What a find! I am so partial to Riesling, and this one is gorgeous! Rich notes of stone fruit and minerals. So special. Score of 92, $15.00 USD. Germany. Beaulieu Vineyard Cabernet Sauvignon Napa Valley 2008. Nicely balanced notes of berries and currant. Sore of 87, $18.00 USD. California. Villa Tonino Nero d'Avola Sicilia Baglio Curatolo 2008. Spicy notes of cherry and plum. Score of 88, $15.00 USD. Italy. Les Vins de Vienne Vin de France Reméage Red 2009. Beautiful wine with notes of berries and tobacco. Excellent value. Score of 90, $15.00 USD. France. Viña Santa Carolina Malbec Rapel Valley Reserva de Familia 2008. Notes of berries, vanilla, and cocoa. Score of 89, $17.00 USD. Chile. Trapiche Bonarda Mendoza Broquel 2009. Notes of plum and berries, a bit spicy. Score of 88, $15.00 USD. Argentina. Wine Recommendations for September 2011 Welcome Fall!